How extremely exciting, you're engaged! Woot. That was the most nerve wracking part, so leave the ceremony stresses up to me. I am an Auckland based comedian, actor, poet, improviser, jazz hand enthusiast AND celebrant. I simply love bringing a touch of entertainment pizazz to weddings whilst still delivering a moving ceremony that celebrates love in all its glory. AND never fear, as I get all the information from you beforehand, it will only ever sound exactly like you. Have a fossick through my references, watch my videos below with bonus ukulele, check out the delightful pictures, ceremony suggestions, poems and the like and then let's meet up for a no obligation meeting which is the first step in my process. 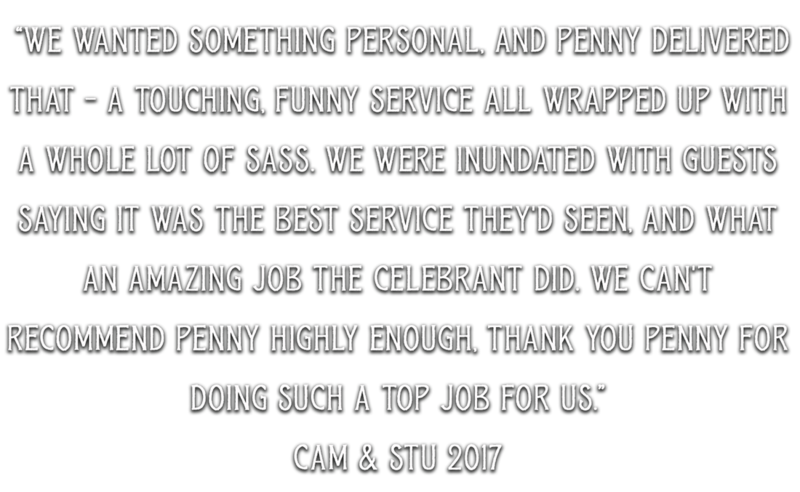 I have performed hundreds of ceremonies over 7 years and have a smooth system in place to make sure your ceremony is one of the best parts of your day. Life's too short to have bad weddings.